Happy new year and I am rather busy to adjust my daily workload since kids are schooling tomorrow. I do not have much to talk about this cookie but I get to know this Indonesian cookie from the famous Singapore pastry shop Bengawan Solo. For a standard box, it was sold at S$19.80. 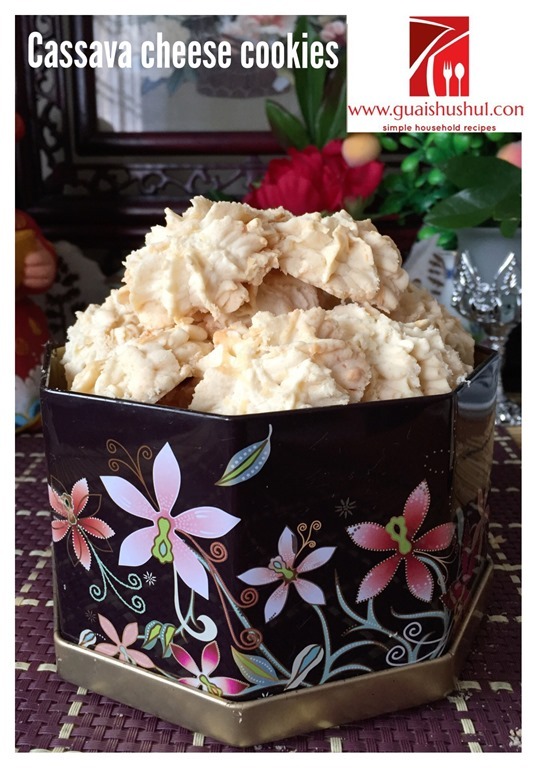 I bought this cookie during one Chinese New Year but well before I started blogging. 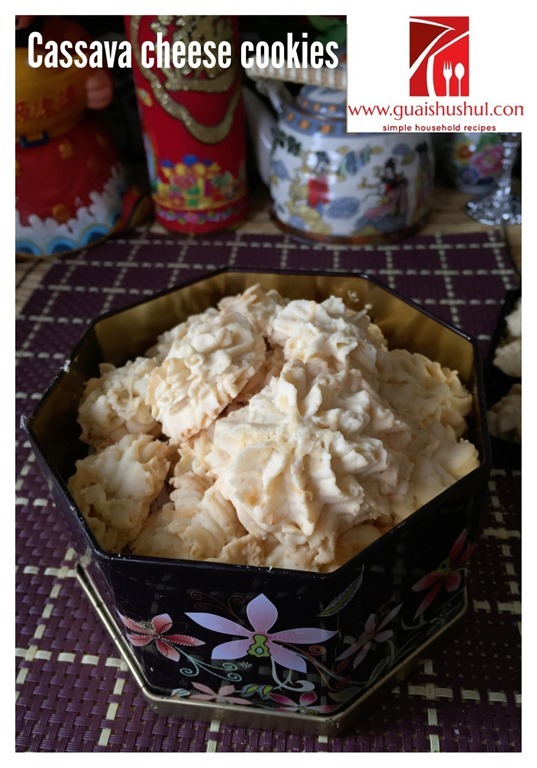 I like this cookie very much and I have bought additional boxes to give to relatives. 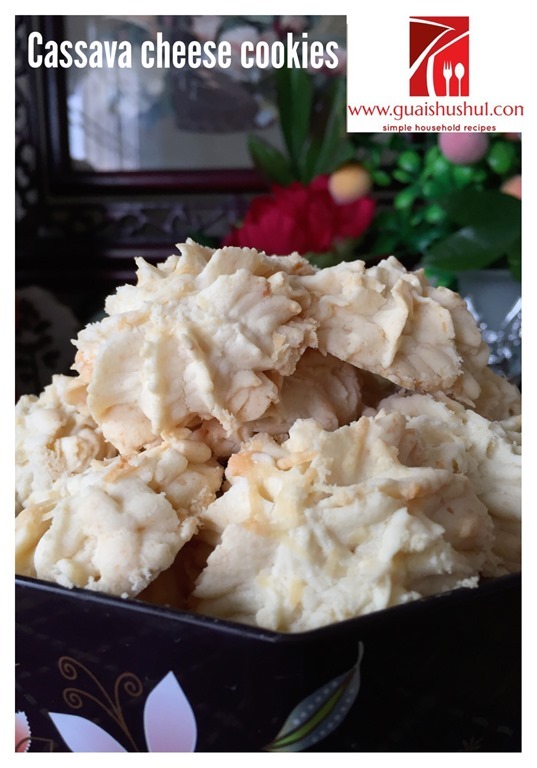 When I am preparing this cookie, I can�t help but to associate with kuih bangkit (Recipe: Traditional Kueh Bangkit) as there are many similarities. 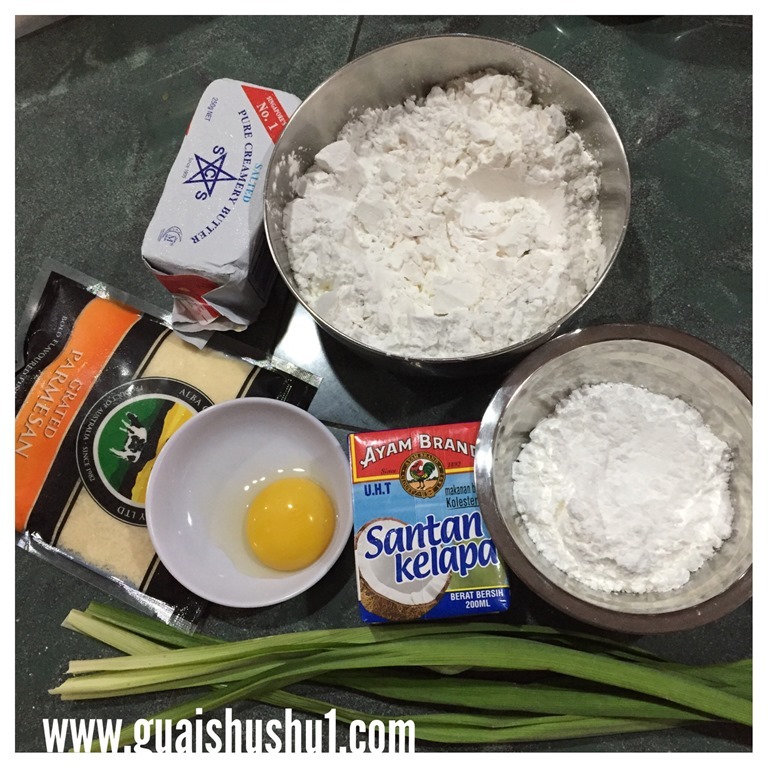 The main similarities are there are no flour (gluten free) and only starches is used and the use of Pandan leaves and coconut milk. 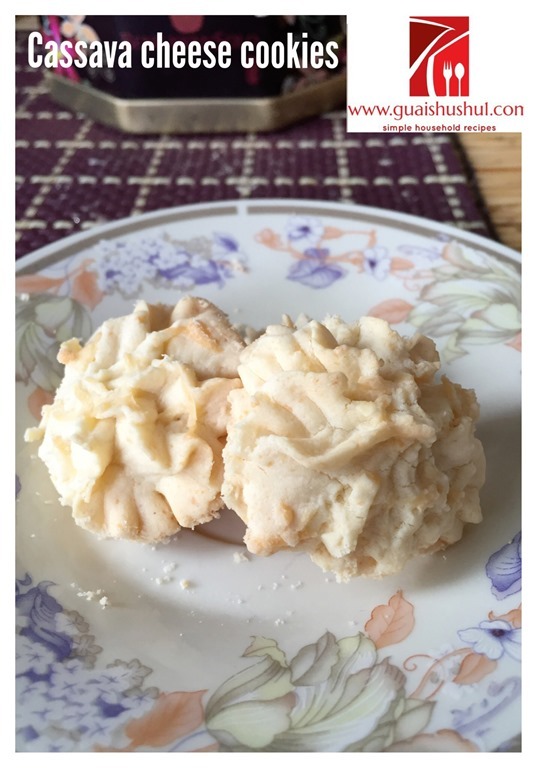 The main difference is that it uses butter (which kuih bangkit did not use any oil) and cheese to flavour the biscuit. 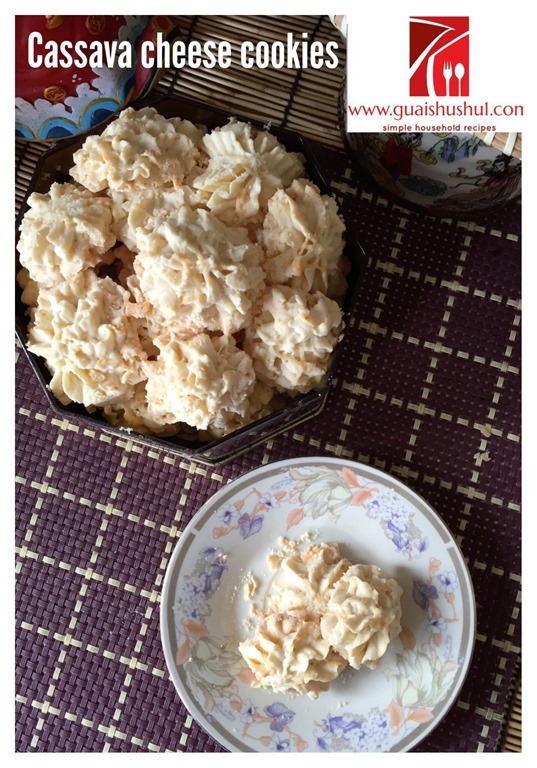 As a result of using butter, the chances of success are much higher than kuih bangkit. Because of the oil, the starches will be evenly distributed and hence resulted in a melt in the mouth cookies. 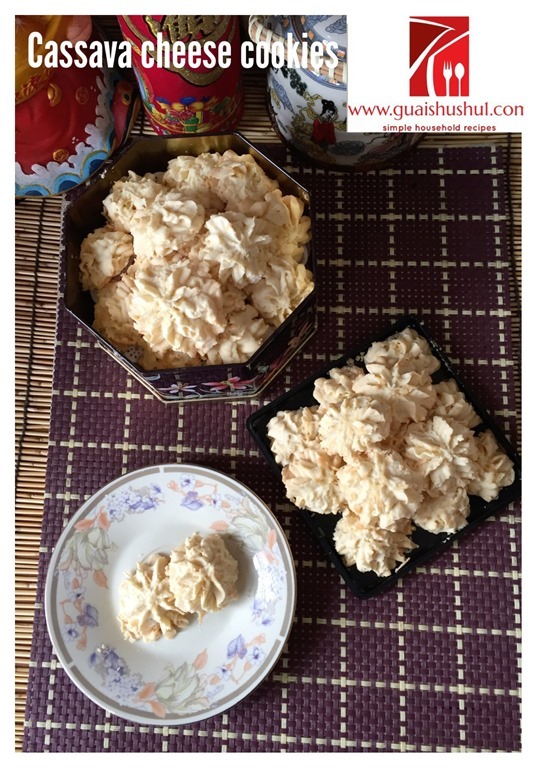 I have read a number of Indonesian recipes and come out to this recipe. Usually I compared recipes, identify main ingredients and used the baking ratio that I am familiar with. The result is definitely a success, melt in the mouth cheesy biscuit. 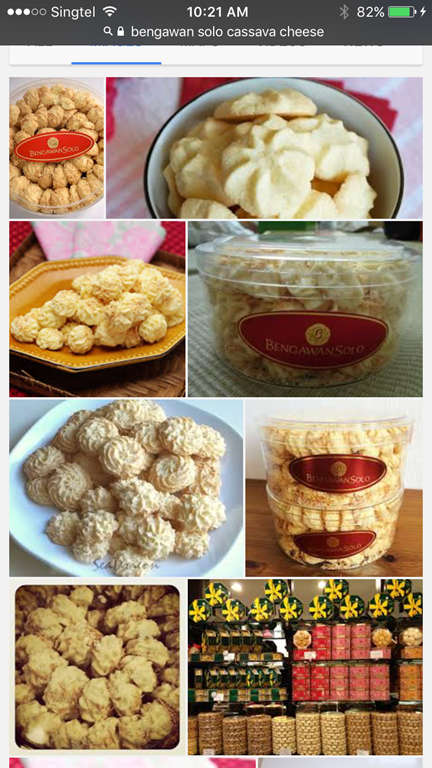 Cassava cheese cookie is the name used by Bengawan Solo, and hence I used the same name. Cassava used because tapioca starch is used and please do not misunderstood that tapioca flesh are used. . However, for this recipe, I have used sago starches instead. Stir fry the tapioca or sago starch and pandan leaves over the stove under medium to low heat until the pandan leaves have wilted. It will take about 5 minutes. Cool and sift the flour into a bowl. Throw away the pandan leaves. Lightly beat the egg yolk and coconut milk until well mixed and set aside. Beat the butter and icing sugar until light and fluffy. Add the egg yolk coconut milk mixture. Beat for a minute until well combined. Add the sifted starches, parmesan cheese and use the machine lowest speed to stir until well combined which take about 1 minute or less. 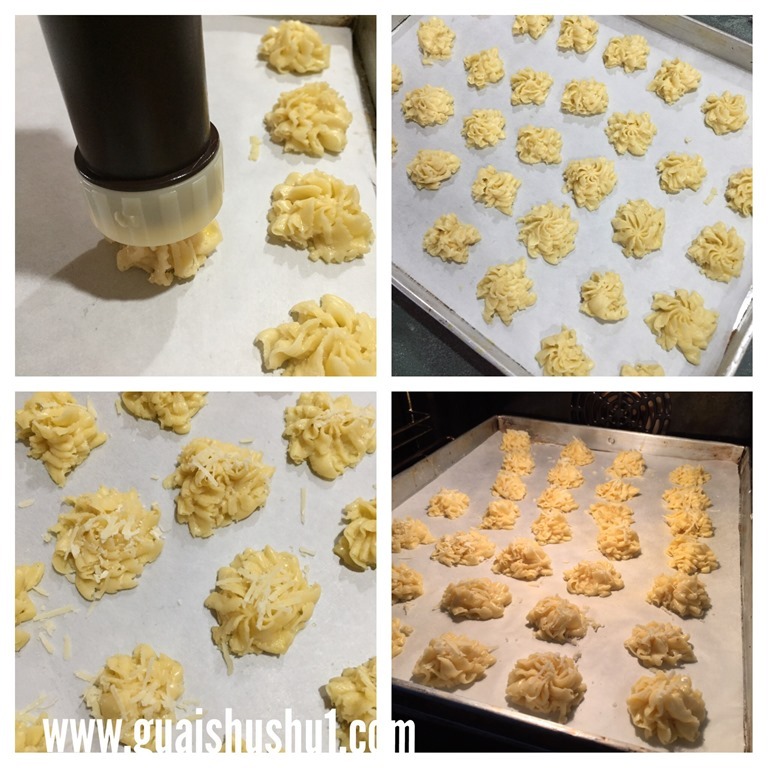 Pipe the cookies into the baking tray and sprinkle with additional parmesan cheese if desired. Bake in the pre-heated oven of 150 degree Celsius for 20-25 minutes. Cool completely before store in an air tight container. The cookies is best eaten within 2-3 weeks. 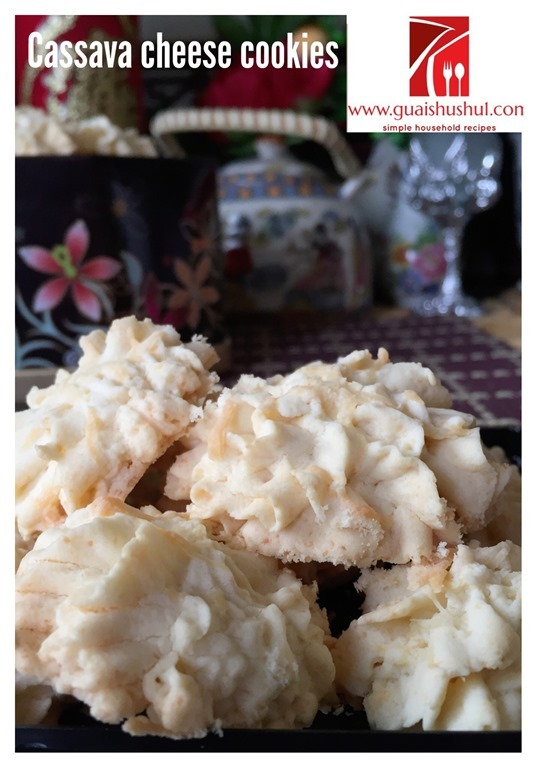 I have nothing much to conclude but for those who want a new cookie this year, you can try this recipe and let me know if it suits your family�s taste buds. Hope you like the post today. Cheers and have nice day. Should there be any imperfections in my blog layout, bear with me and I am trying hard to rectify it. 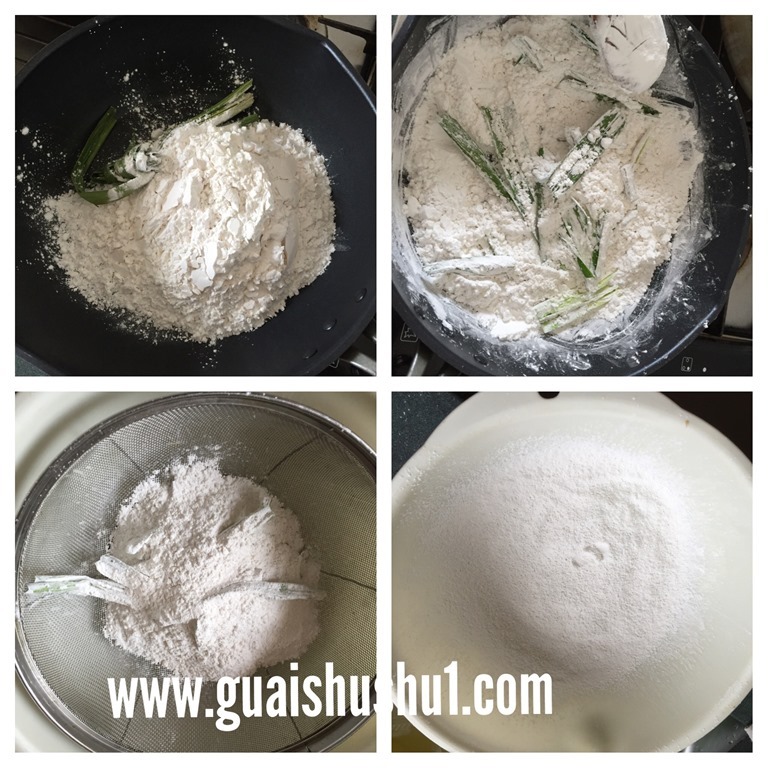 In the event that you are a follower of Guaishushu at http://kwgls.wordpress.com, please do follow this new blog Guaishushu1 at http://www.guaishushu1.com. 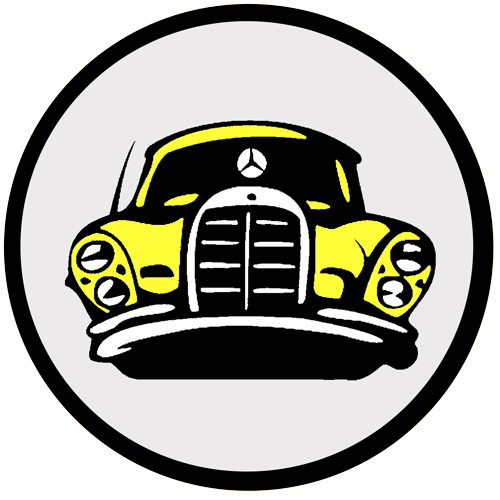 You can follow me at PINTEREST or visit the blog�s FACEBOOK PAGE to keep abreast of my future posts. Also follow me at INSTAGRAM or TSU, a new social network for some more personal sharing other than recipes. 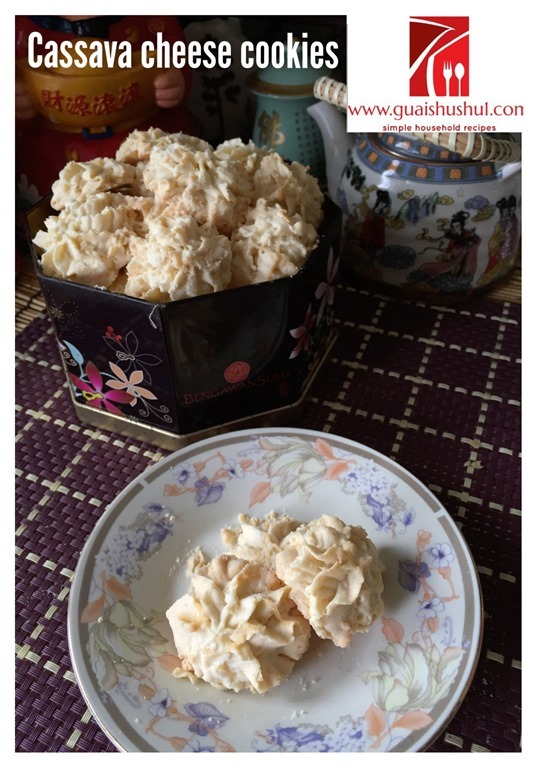 You can also join the FOOD BLOGGERS AND FOODIES UNITED FACEBOOK GROUP and FOOD PARADISE 美食天堂to see more recipes. I am posting my daily home cooked food in the above Facebook Group daily. 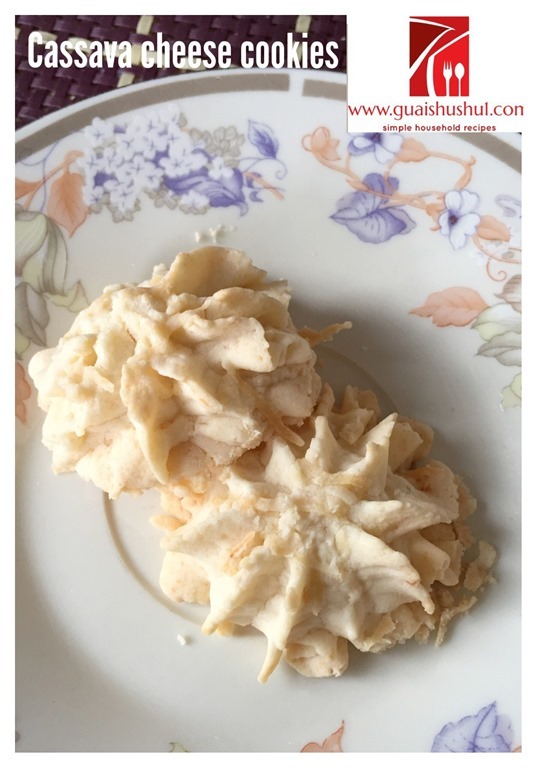 I would be more than happy if you can post in the Group for the recipes that you tried from my blog.